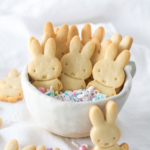 How cute are these little French shortbread Miffy Petit Beurre cookies? 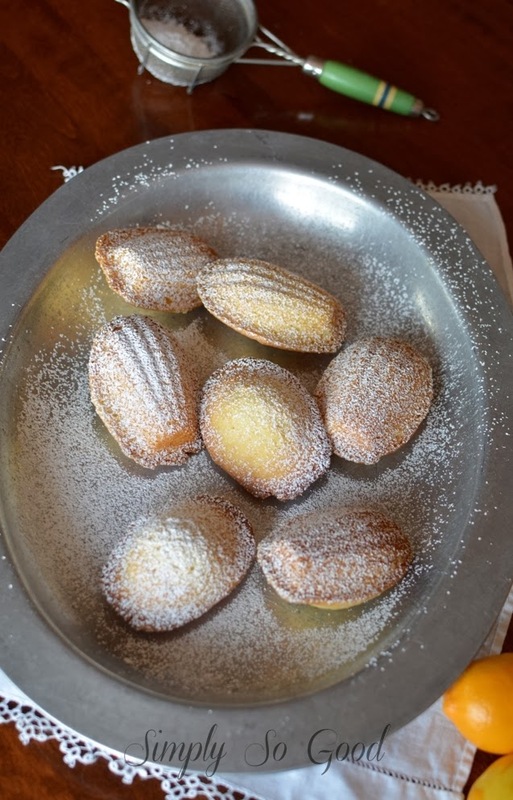 This simple little cookie, not too sweet not too rich, melts in your mouth. Petit beurre literally means “little butter”. 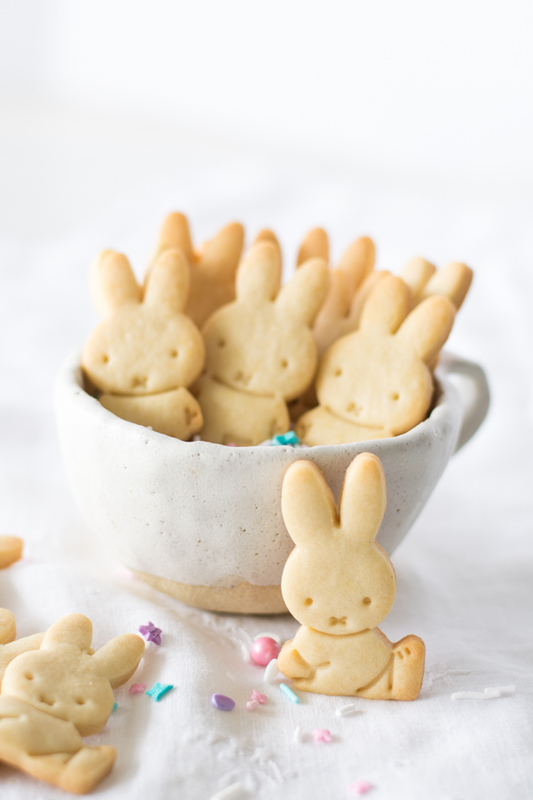 I think these little buttery bunny cookies are perfect for an Easter basket treat. 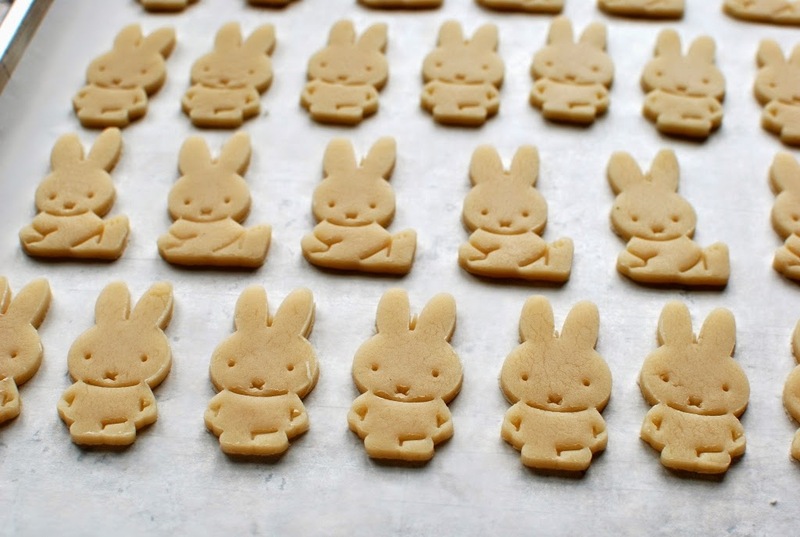 You can get your own Miffy Cookies cutters here on Amazon: Miffy Cookie Cutter Who cares if you only use them once a year. It’s a small investment (under $5) you’ll never regret. 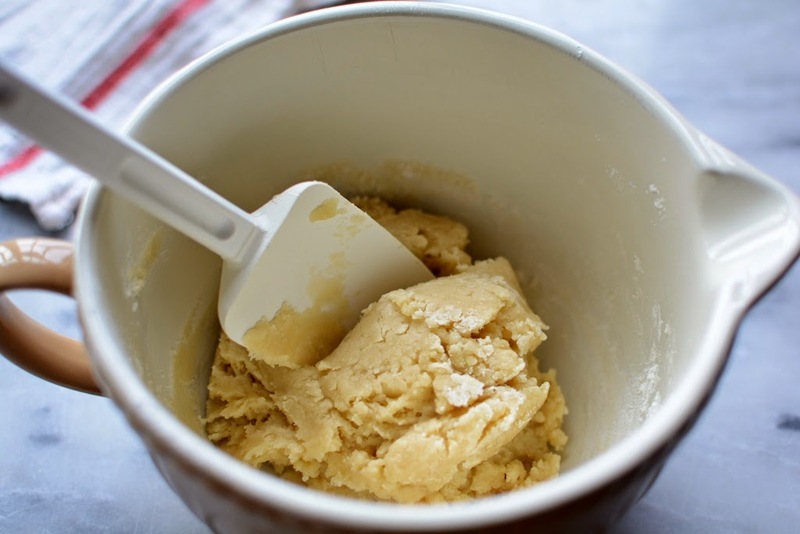 The cookie dough is so easy and can be made in just a few minutes. 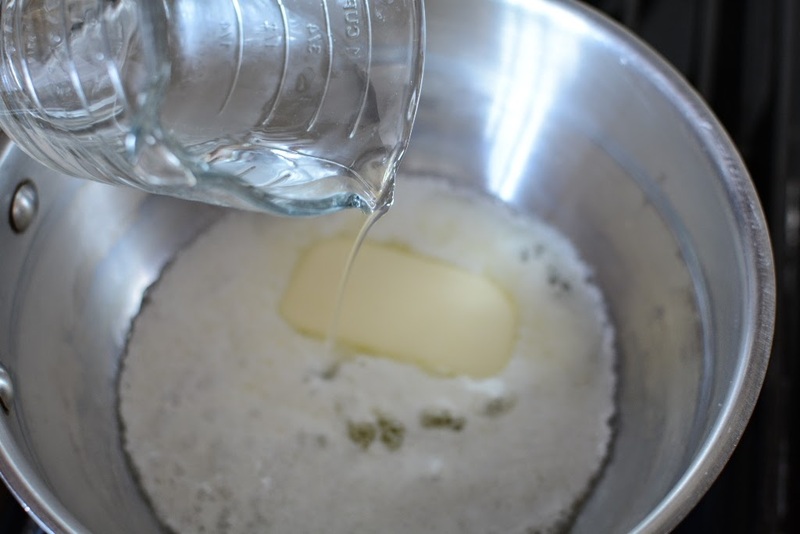 In a small saucepan, melt 1/2 cup butter with 1/3 cup water. Add 1/2 cup sugar and 1/4 teaspoon salt. Stir together. Bring mixture to a boil over low heat. 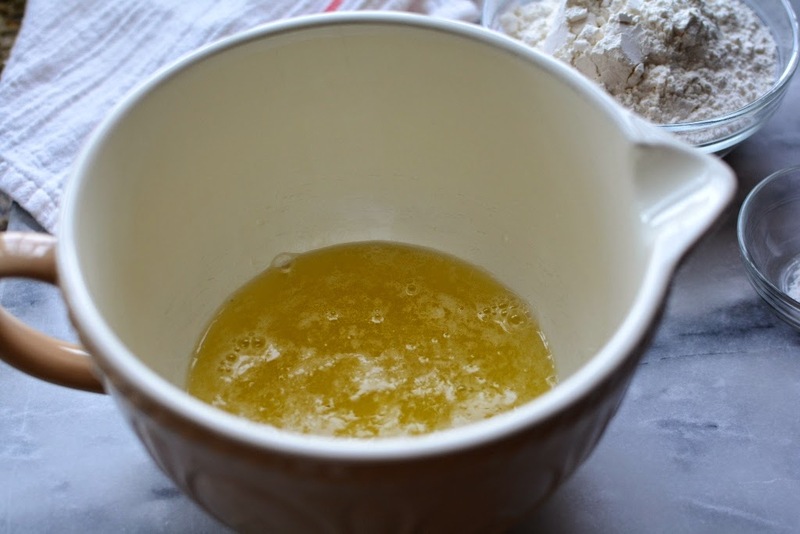 Pour mixture into a mixing bowl and let stand to cool for 20 minutes. Add 2 cups flour and 1/2 teaspoon baking powder. Begin to stir in flour mixture. 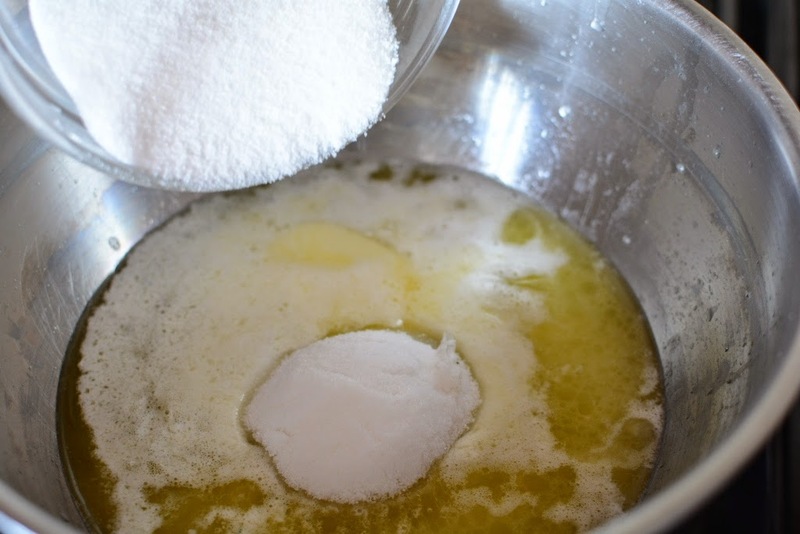 Mix until the dough forms a smooth soft ball of dough. 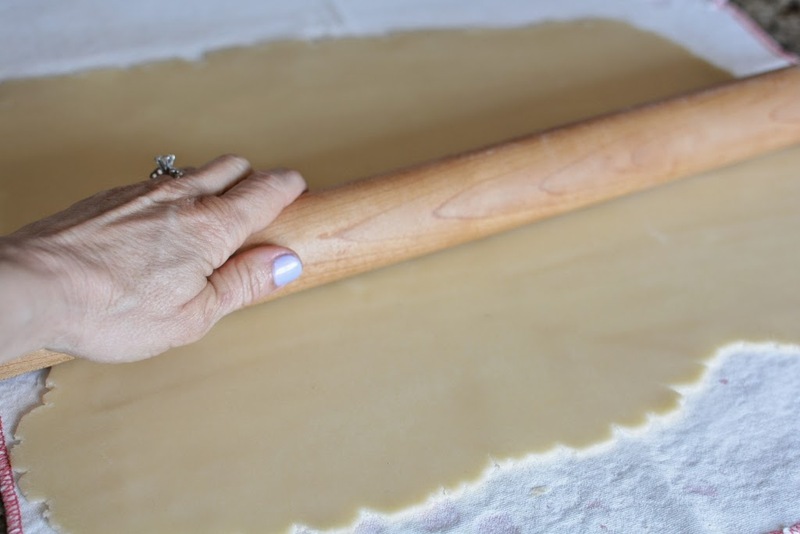 Flatten the dough into a square or rectangular shape. 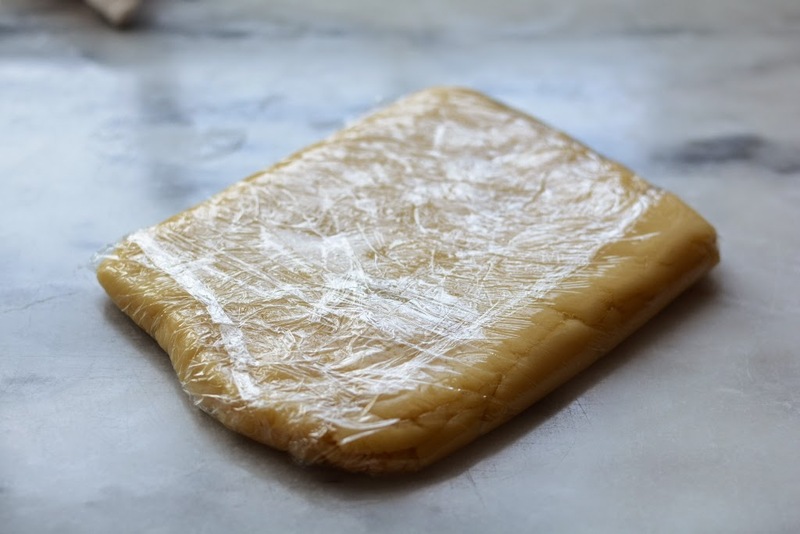 Wrap with plastic wrap and refrigerate dough for at least 3 hours. After 3 hours remove dough from the refrigerator and unwrap. Preheat oven to 350℉. 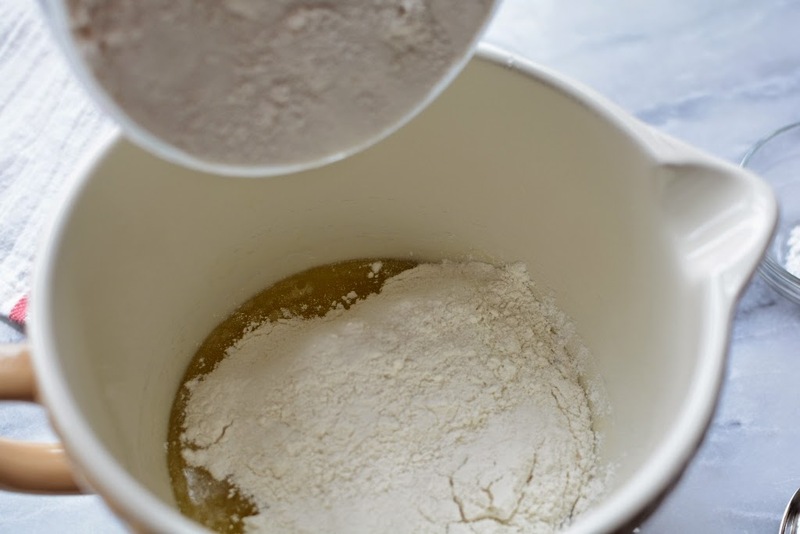 Place dough on a lightly floured surface or between two sheets of parchment paper. The dough is very stiff and you will need to use some upper body strength 😉At first it’s quite difficult to roll, but soon will begin to soften up and roll easier. 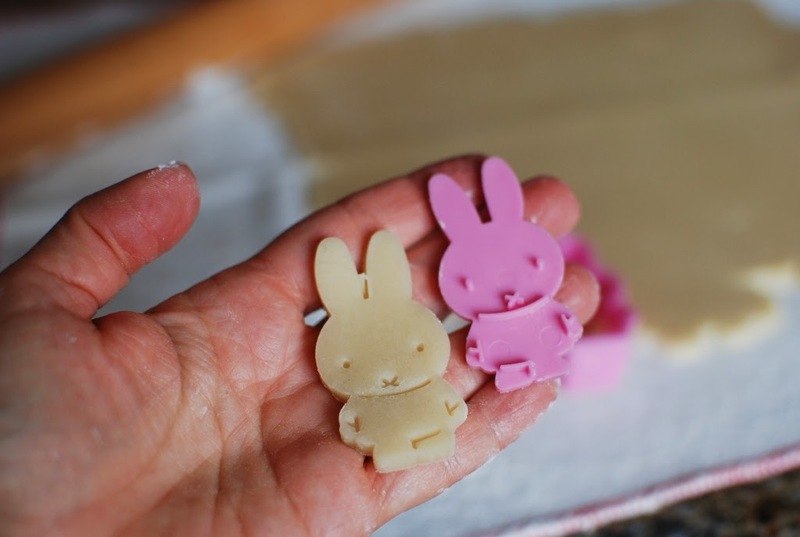 Using a Miffy cookie cutter, press into the rolled out dough. The cutter has a removable center that makes cutting perfect and easy. Place on a baking sheet 1/2-inch apart. The cookies will NOT lose their shape while baking. Bake in preheated 350℉ oven for 8-10 minutes or until barely beginning to brown around the edges. I like to get the edges lightly golden brown because I love the brown butter flavor that comes out. Such a cute Easter basket treat and perfect for little grandkids. 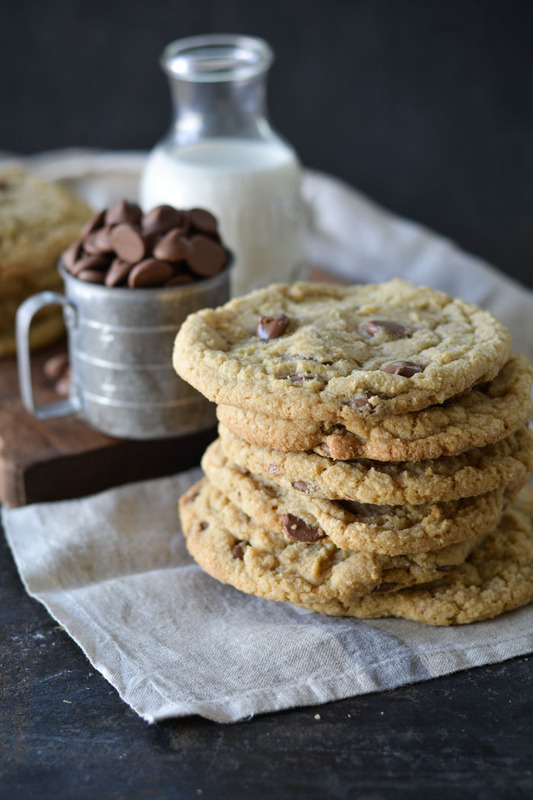 This dough holds it’s shape and any detail of the cookie would not be lost during baking. It's perfect for your favorite cutters. In a saucepan, add the water, sugar, salt, and butter. Bring to a boil over low heat and wait until the butter is completely melted. 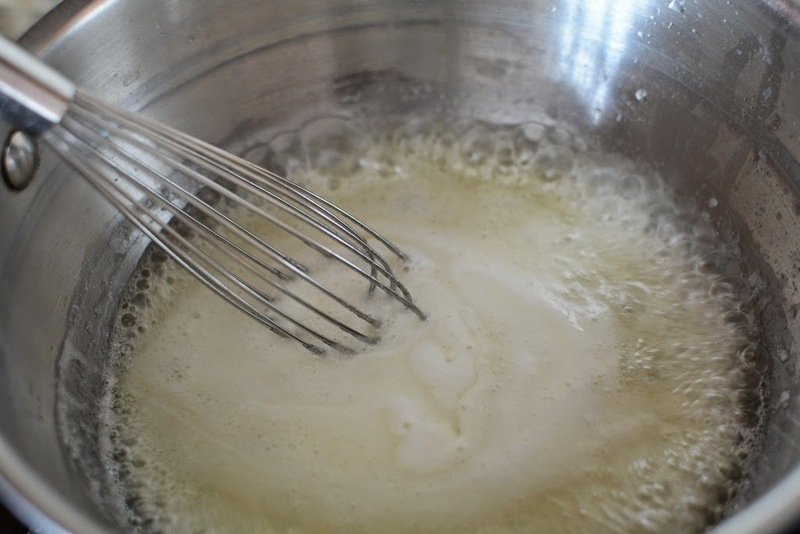 Pour into a mixing bowl add vanilla then let stand for 20 minutes, stirring occasionally. 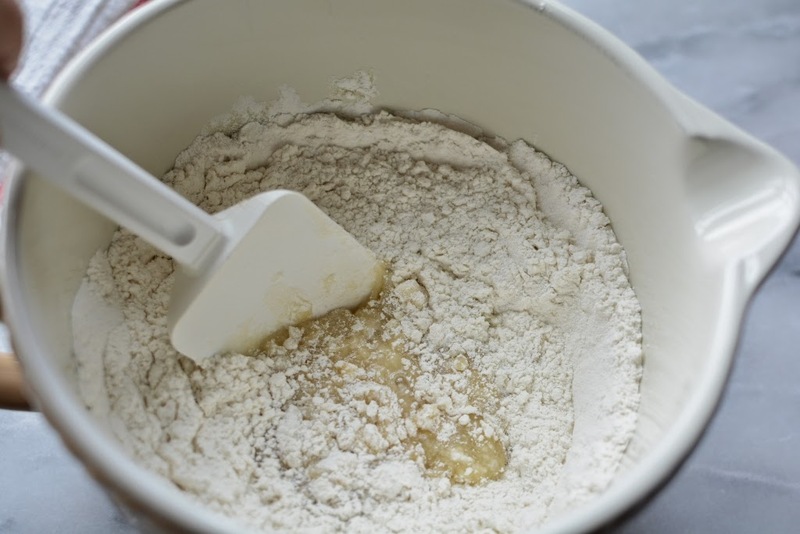 Add flour and baking powder and stir with a spoon until the mixture is smooth and soft. When the mixture is soft quickly knead by hand until smooth. Press into flattened disc or square. 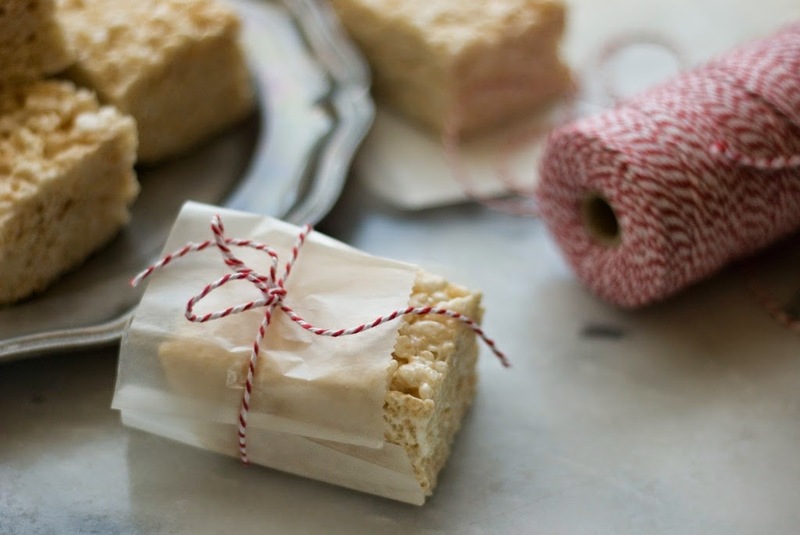 Wrap in plastic wrap and refrigerate for at least 3 hours. The refrigeration will solidify the butter. Remove from refrigerator and roll out thin. Cut with cookie cutter. Place on baking sheet bake in a preheated 350 F (180 C) oven for 8-10 minutes or until lightly golden brown. Makes about 3 dozen small Miffy's. 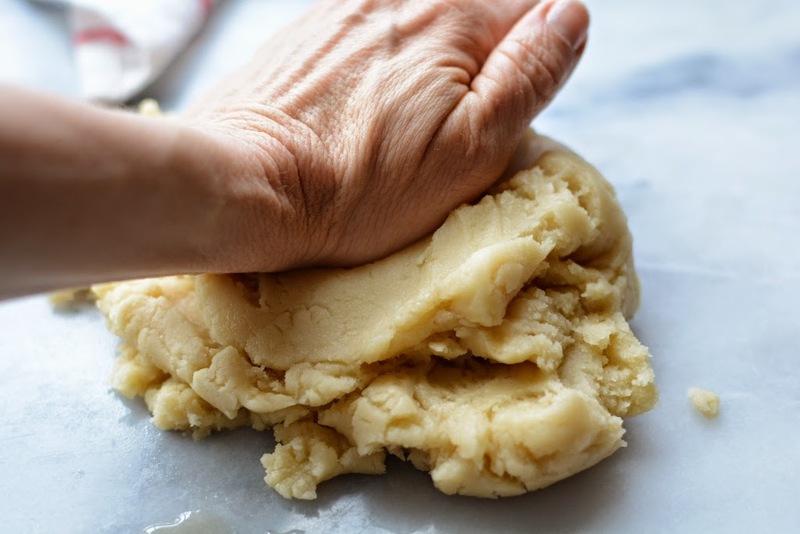 No waste here: The cookie dough scraps can be kneaded together over again to cut out more cookies. Repeat this process until all the dough has been used. This recipe was originally posted in 2014. Additional notes, nutrition, updated photos, and recipe cards have been added. I do not have grandchildren yet but had to save link and buy the cookie cutters! love the shape of these cookies and no doubt the taste will be wonderful. They are so cute and fun. Thanks for saving the link. What an awesome idea! I love butter cookies. (Who doesn’t?!) 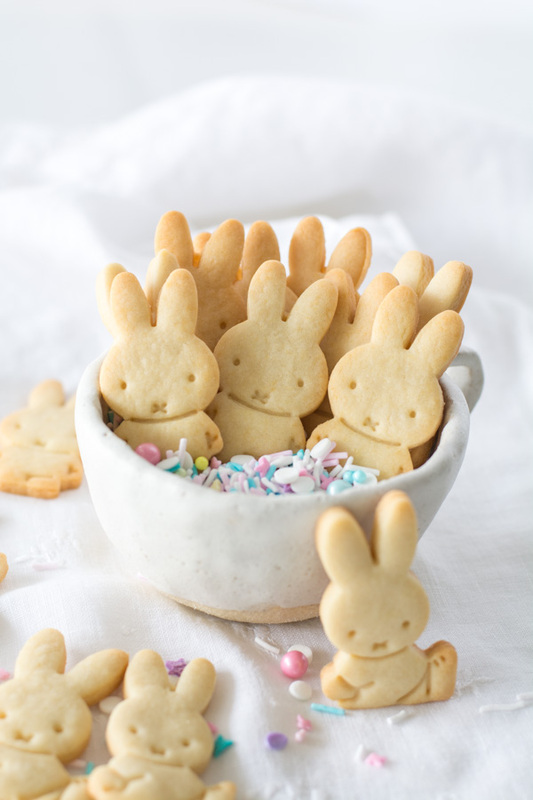 I think these little cookies would be a darling gift for Easter…young and old alike! This recipe is also easy to make. Your website has gone onto “My Favorites” for reference. Great recipes! Keep up the great work! I’m honored to be on your “favorites” list. Thank you so much. I’m sure I could learn more from you. Im from the Netherlands and miffy is dutch w call it Nijntje lol. Cute tho! I wish I knew how to pronounce that. Thanks for the fun comment. What a wonderful story! It is choice. Elder Featherstone's son is my bishop, and you're right, the Featherstones are very special people. I'll have to share this story with him. He'd love it. As always, thanks for the wonderful recipe. And those cookie cutters are out of this world cute! Of my gosh what a small world. Is your bishop Paul Featherstone? If so, I have stories. Thank you so much for commenting and making our world smaller. I would like to know where did you get the cookies cutter ( the purple rectangle one, not the rabbits. would u please let me know. Thanks so much. I purchased the purple cookie cutter and book as a set on Amazon just before Christmas last year. I have not been able to find them since. 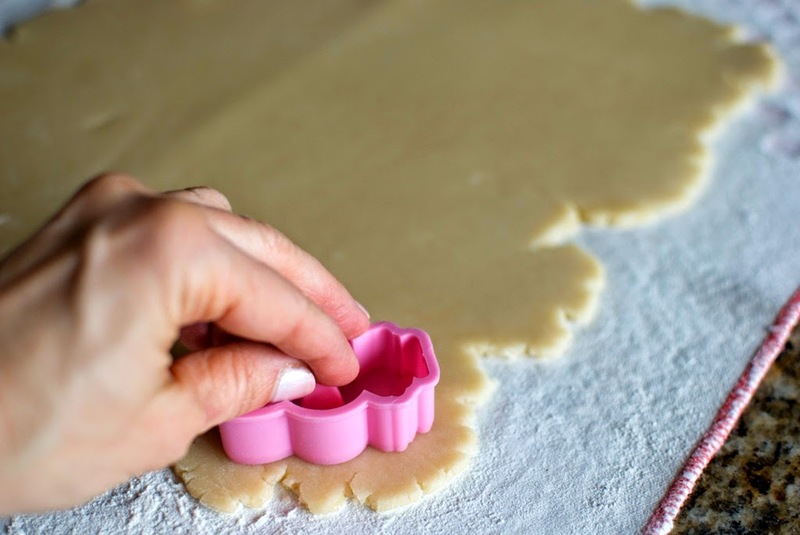 You could just do a search for Petit Beurre cookie cutter. They are available internationally. Keep trying Amazon. Merci beaucoup pour cette délicieuse recette, thank you so much, it is just a traditionnal biscuit for us. This is why Tiffany is so adorable and will be as wonderful a mother as you are! I love all the photos in your recipes! These cookies are adorable and so is the story! I adore your cookies !!! Soooooo cute 😉 nicer than our traditionnal "Petit Beurre"
These are super cute! My daughter (now 5) loves penguins, but I fear she's already getting out of that phase–I'll still think of penguins as cute though. 🙂 Helpful hint.. in the directions step by step you put cook for 20 mins.. but I think you mean chill (as per the recipe). Thanks for proof reading for me. I'll make that correction. Penguins are so cute. Thank goodness you can't have one for a pet.